The Bernie Banton Foundation consists of a caring, committed management team and supporters who have all been touched in some way by the hazardous effects of asbestos. The Foundation has a diverse Board of Directors. To read more about the Board click here. Karen is a strong advocate on behalf of asbestos disease sufferers and their families, fervently continuing the legacy left by her late husband Bernie Banton AM. Bernie was widely recognised as the public face of the legal and political campaign fought in Australia from the early 2000s until 2007, to achieve a binding agreement with James Hardie Industries for a long term compensation fund for the many sufferers of asbestos-related diseases (ARD) who were exposed to the company’s asbestos containing products. During those all-consuming years Bernie spent as the public face for asbestos-disease sufferers of Australia, behind the scenes, Karen very much ‘walked the walk’ with him. Karen was every bit as passionate as Bernie for the cause, and even more so with his passing in November 2007. In Australia she has now become the public face for this mission and the ongoing fight for justice. Karen cared for Bernie as he suffered pleural plaques, asbestos related pleural disease and asbestosis, and she ultimately nursed him as he bravely endured mesothelioma (diagnosed in August 2007). Bernie lost his battle, dying at home on the 27th of November 2007. 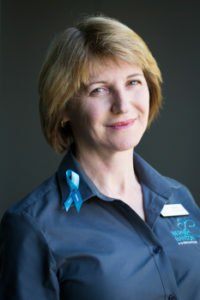 Karen has added to her undeniable life qualifications gained through living the asbestos related diseases journey with Bernie, and the many years since with the Bernie Banton Foundation, by attaining nationally recognised qualifications in Community Services and a Diploma in Christian Ministry and Theology. Her comprehensive understanding of how these diseases adversely affect sufferers and their families is evident in the compassionate manner in which she deals with all who are touched by these insidious conditions. Rod was born in the late 1950s, spending his formative years in the Western District of Victoria, where his parents had a dairy farm; and were prominent in the ‘equestrian world’, with he and his two older brothers successfully competing in agricultural shows and equestrian events across Australia. After leaving Secondary College, where he majored in business and commerce, Rod had an interesting and varied initial working life, including training and working as a broadcaster; riding track work for the legendary racehorse trainer, the late Bart Cummings; training and working as a house painter; and installing roadside safety fencing on ‘Bells Line of Road’ in the NSW Blue Mountains. Rod has owned and operated a number of small businesses, including: training equestrian horses; a rural fencing and farm maintenance business; a house painting business; and an Australian-wide horse transport business. From the mid 1980s until 2013 he was the managing-director, and owner of a respected mobile crane and transport company he founded on the Mornington Peninsula, Victoria, Australia. In 2008, Rod’s life changed forever when his life partner of over 23 years, Julie was diagnosed with the terminal asbestos cancer ‘mesothelioma’. Rod became heavily involved in the ‘asbestos world’, voluntarily becoming the president of the Asbestos Diseases Society of Victoria (ADSVIC); and co-ordinator and facilitator of its’ support group. It was during this tenure Rod pioneered online support, bringing individuals and groups together from across Australia, and indeed the world, face-to-face via Skype. Nowadays, via the Bernie Banton Foundation, Rod has expanded on this to run Australia-wide online support groups via the social media medium, Facebook. Rod as a bereaved carer proudly is, along with long-term U.K. mesothelioma sufferer Mavis Nye, one of the original surviving members of the ‘Mesowarriors’ worldwide social media support group. In 2010 Rod was instrumental in advocating for, and working with Council Council Victoria to produce and contribute to a world first booklet on mesothelioma entitled Mesothelioma – A guide for people living with cancer, their family and friends It was released in September 2011 shortly after Julie died, Cancer Council Victoria honoured Julie by dedicating the booklet to Julie and fellow deceased mesothelioma sufferer (and friend) Farid Moghaddis, along with giving input credits to Rod. In early 2011, Rod stood down from his roles with ADSVIC, and also put his business interests on hold, to concentrate on caring for Julie full time. Julie passed away, at home; with her much loved family and two beloved dogs by her side, later that year. Rod joined the Bernie Banton Foundation in January 2012, in a voluntary capacity, as its Awareness and Support Co-ordinator, utilising over 30 years of business experience, and the unenviable life experience gained during the journey he shared with Julie throughout her illness. The individual tragedy of each losing their soulmate to mesothelioma, brought Rod and Bernie Banton’s widow Karen Banton together, and they married later that year. October 2012, following nearly 3 years of lobbying, saw a dream realised when Rod successfully instigated the forming of the National Network of Asbestos Related Disease Support Organisations – a voluntary informal alliance (or ‘peak’ body) of all the recognised asbestos disease support organisations in Australia. Not having the heart, or inclination without Julie by his side, to ‘kick start’ or resurrect the company he started nearly 30 years previously, Rod made the heart wrenching decision to close the company for good in June 2013, to allow him to dedicate his time solely to the Bernie Banton Foundation. The year 2013 also saw Rod complete a nationally accredited Certificate IV course in Community Services Work, as well as a Cert. IV in Christian Ministry and Theology. From 2012 Rod has overseen the establishment and growth of the foundation’s Mesothelioma and Asbestos Related Support (MARSupport) Australia Network operating Australia wide and also offering support to New Zealanders. Rod is a man of faith, he is apolitical and a self-described ‘humanitarian’. 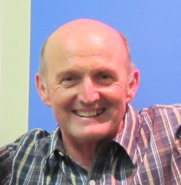 His full time passion is offering peer-based support to asbestos related disease sufferers, their carers and families, creating awareness amongst the general public regarding the dangers of asbestos, advocating on asbestos-related issues (locally and globally) and being a voice of reason for asbestos related disease sufferers and the broader community, Australia wide. He and Karen run the foundation from its office at Warrawee, in Sydney NSW, all the time offering 24/7 peer-based support via the foundation’s Asbestos Disease Helpline. Rod is a Board Member of the Australian, NSW State Government, Dust Diseases Board; a Member of the Australian Mesothelioma Registry Expert Advisory Group to the Australian Institute of Health and Welfare; and an Honorary Life Member of the Transport Workers Union (TWU).